This free to play mobile game is structured like a musical and is basically a collection of Mini-Games where the object is to progress to a boss level by completing a set number of games. Once you have beaten the boss level you will travel to a new area which will have a different theme and a new set of games. Even though the game may feel familiar the musical aspect of it is so much fun to experience that you have to at least check that out. 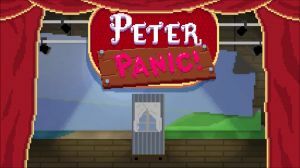 No discussions open for Peter Panic at the moment.